Saturday. 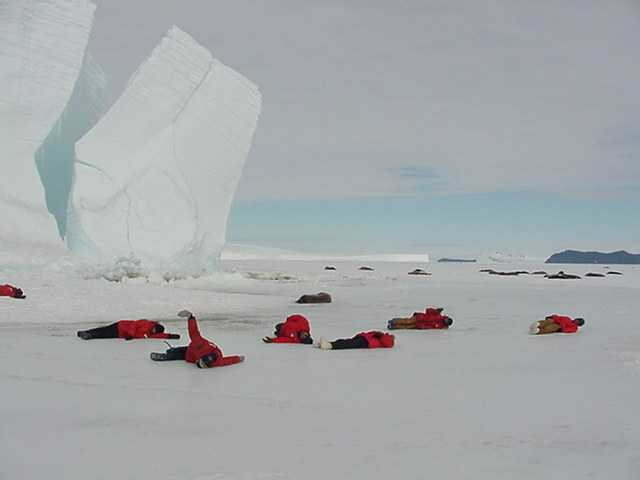 We are all here in Antarctica supporting the quest for science and science does unfortunately happen on Saturdays. I have asked around and no one seems to know what a “5 day work week” actually is. Today I was part of a Weddell Seal study. I believe they are studying the napping patterns of seals. To encourage the seals to nap when the scientists are ready to collect their data we were encouraged to convince the seals that it was actually nap time. Science can be exhausting work.